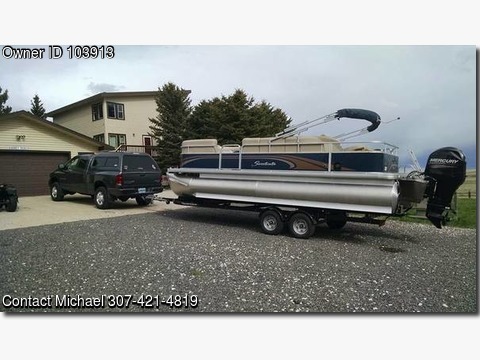 Boat is located in Cheyenne,Wy.Please contact the owner @ 307-421-4819...2014 Sweetwater Pontoon in Excellent Condition.This boat has always been stored inside and maintained consistently. It was only used one month a year on Boysen. Never been out of state. Extra add on's include new LED docking lights, pole holders, trolling plate, etc.